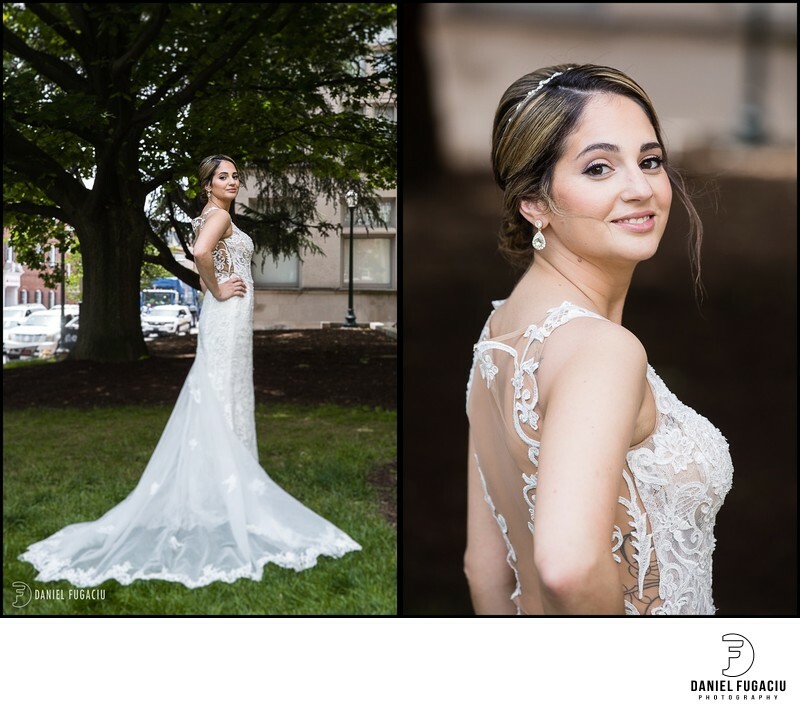 Bride posing for fluffed gown portrait. West Chester Old Courthouse wedding. Location: 2 N High St, West Chester, PA 19380.